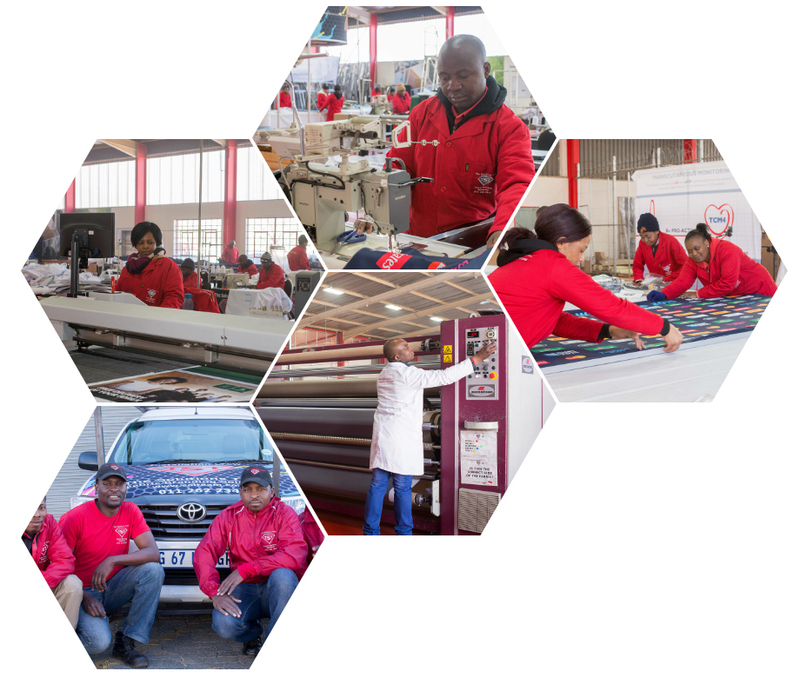 The Solutions Team has a factory in Eastgate, Sandton. The factory comprises of five dedicated printers for fabric printing with a maximum printing width of 3200mm. The factory also houses a roll-to-roll U.V. printer which is best for printing of PVC, lightbox fabric, wallpaper, vinyl and any non-fabric flexible media on a roll. It has a maximum width of 3200mm. The U.V. flatbed printer services the requirements of clients who have a need for printing on substrates such as Perspex, Chromadek, Foamalite, Aluminium and any smooth, rigid, printable substrate up to 50mm thick. Our two Swiss flatbed, automated cutters allow for precision cutting. One is dedicated purely to flexible substrates and the other to rigid substrates. The fifteen industrial sewing machines form part of the finishing process for fabrics, three of which are specialised for fabric frames. This saves production time and ensures 100% accuracy, 100% of the time, on one of the most popular products in our business. Our quality control team check and photo catalogue each and every single job prior to dispatching or installing. We have multiple dedicated teams on the road in Johannesburg who deliver and install. We will work 24/7 at a nominal surcharge to ensure your deadlines are met. Our back-up generator is part of our commitment to ensure production continues, even during a blackout.